MetroRapid bus service should be a precursor to urban rail, not an obstacle! View of part of MetroRapid fleet. 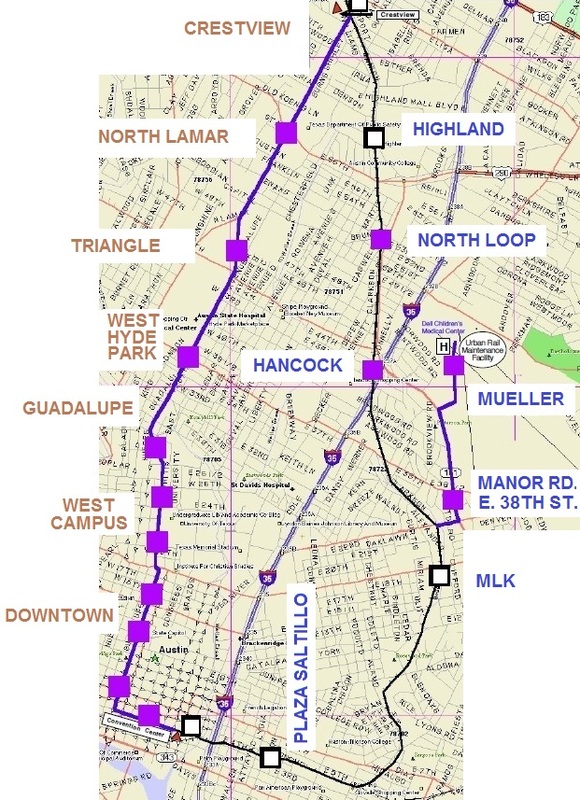 Some local officials, favoring the City’s long-preferred Urban Rail plan from downtown through the UT East Campus to the Mueller development site, have been presenting Capital Metro’s MetroRapid juiced-up-bus-service project as a barrier to alternative proposals for implementing urban rail in the Guadalupe-Lamar (G-L) corridor. 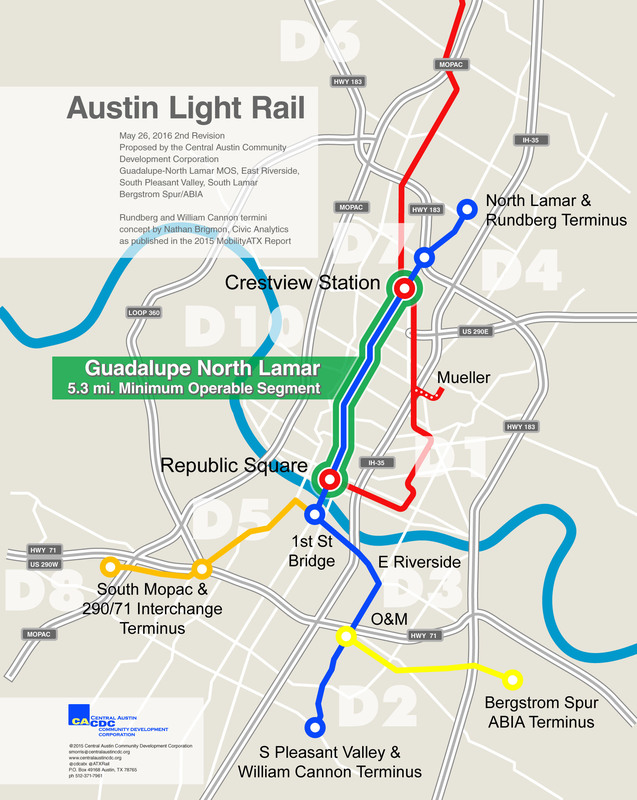 As Austin Rail Now will discuss in subsequent analyses, this argument is fatuous and fallacious. Instead, MetroRapid can and should be re-purposed and re-branded as a precursor to urban rail, not a competitor and obstacle. 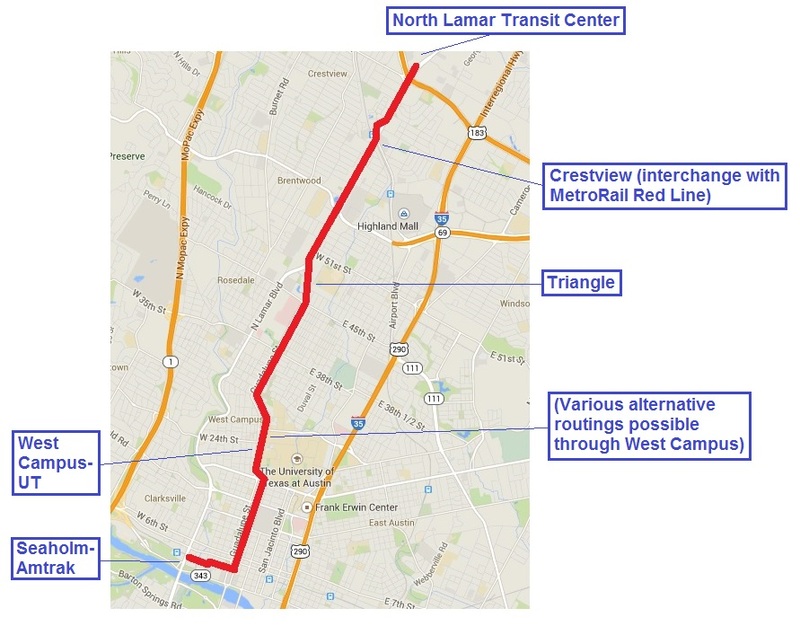 Rapid Bus can be a precursor to Urban Rail in Lamar-Guadalupe corridor! Cover of TRB conference proceedings. Title and author lines from published paper. 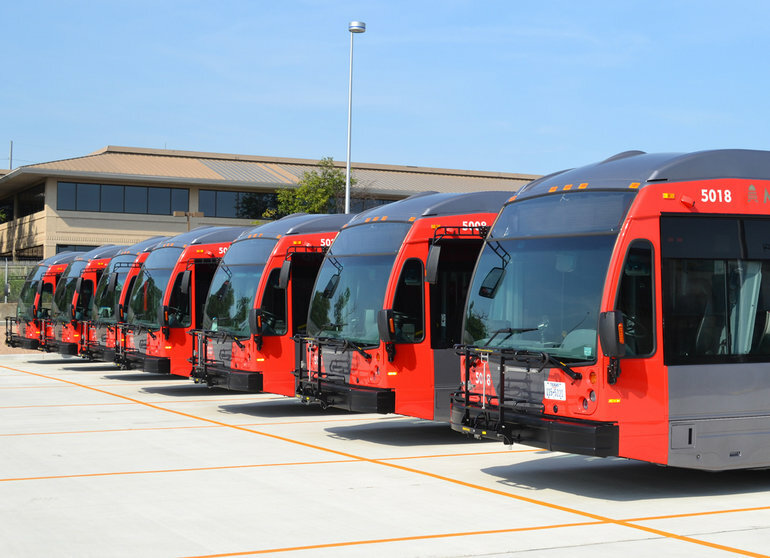 Various U.S. examples exist where both technically and policy-wise, a RapidBus or BRT-type system can function as a precursor to rail transit service – and with Federal Transit Administration (FTA) approval! • Dallas – BRT-like express bus service, operated by Dallas Area Rapid Transit (DART) on North Central Expressway, served as a precursor to DART’s LRT extension to Plano. • Miami – Miami-Dade Busway has been serving as precursor to extensions of MetroRail rapid transit. 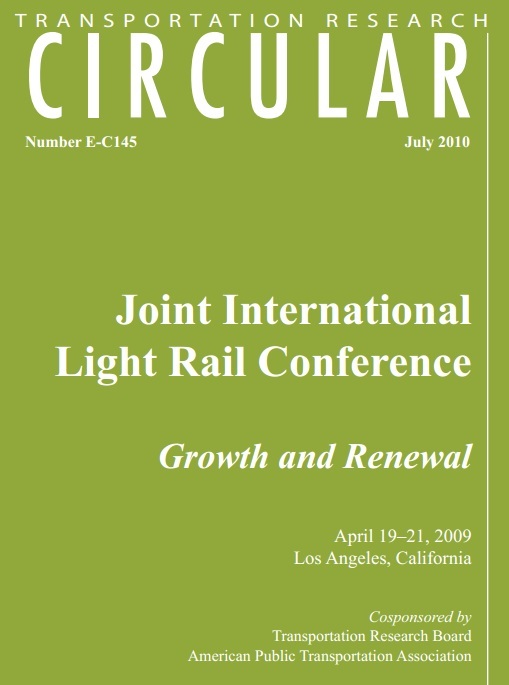 • Los Angeles – Wilshire Boulevard MetroRapid service, operated by Los Angeles County Metropolitan Transportation Authority (MTA), has served as precursor to extension of MTA’s rail rapid transit metro system, a project now under way. • Seattle – In Downtown Seattle Transit Tunnel, BRT-type bus service functioned as precursor to Link light rail (now operating jointly with buses – see photos below). Excerpt from section of paper. ♦ Conclusion: BRT or RapidBus must be originally designed as light rail precursor! 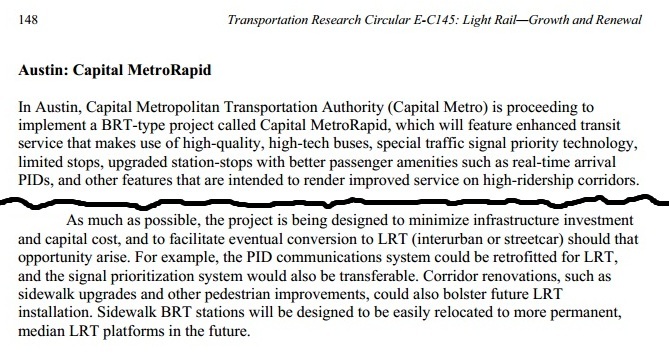 Paper concludes that best-practices approach to plan for BRT or RapidBus as precursor to rail is to design it for eventual conversion from the start. This means keeping infrastructure investment minimal and designing for modularity (i.e., designing station components, communications, etc. so they can be easily relocated or reconfigured for the rail mode during conversion). Excerpt from Conclusion of paper. If the transit agency can demonstrate that the BRT or RapidBus investment won’t be lost, but can be upgraded into a higher and more effective use (e.g., Urban Rail), FTA has approved such conversion.